We called in at Dalton Crag in Cumbria to see if we could see yet another great grey shrike. We failed in this attempt, but were compensated by three flushed Woodcock, and some interesting flora. The trig point on Dalton crag. 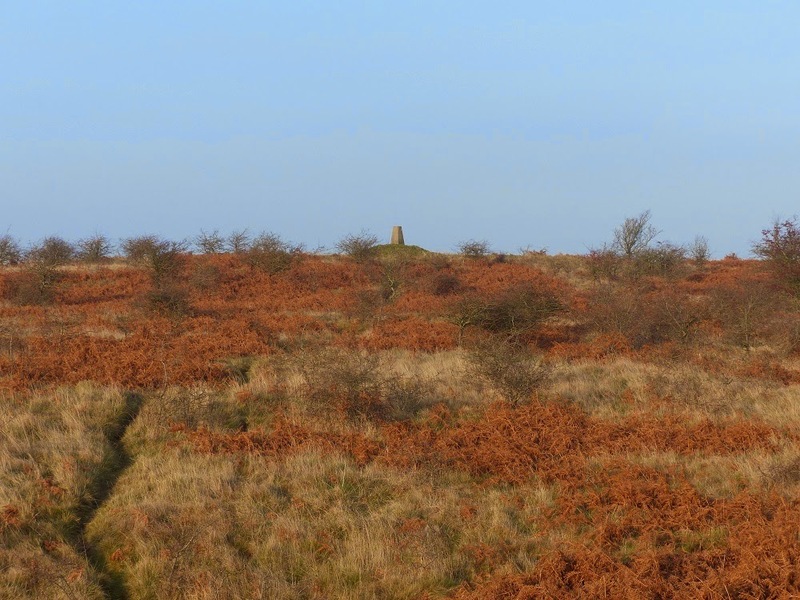 This is the general area where the shrike has been seen, but it is apparently quite wide ranging and elusive at times, as it proved today. 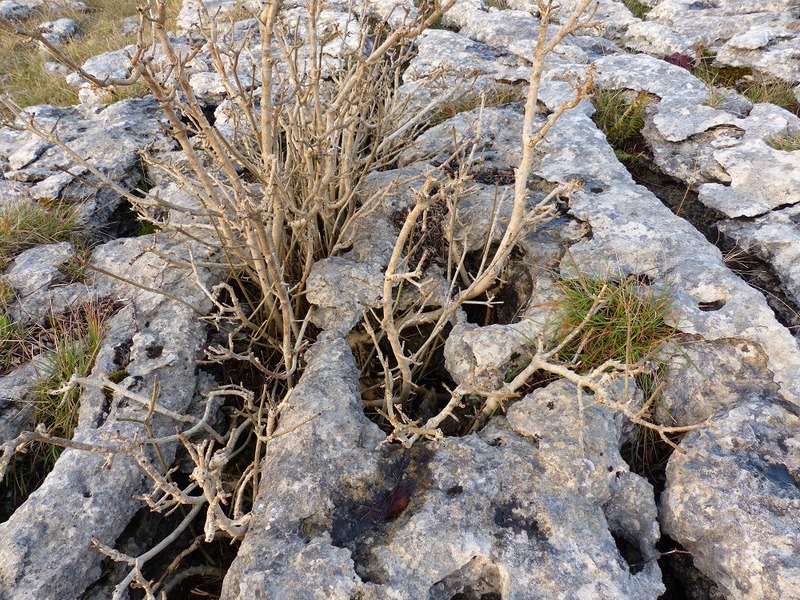 Dalton crag is covered in limestone pavement, with very deep grikes in places. Limestone is soluble and over the years rain water carves out deep valleys and holes in the rock, which can also become very smooth and slippery, making walking on it very treacherous at times. 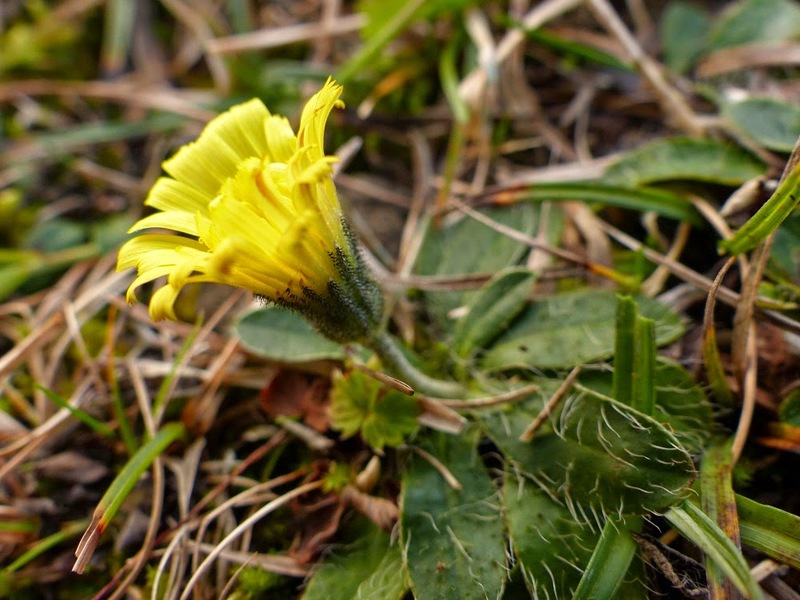 However the grikes offer protection to plants from both grazing animals and the extremes of the weather, as well as being almost permanently damp, and so can hold lots of interesting plants. 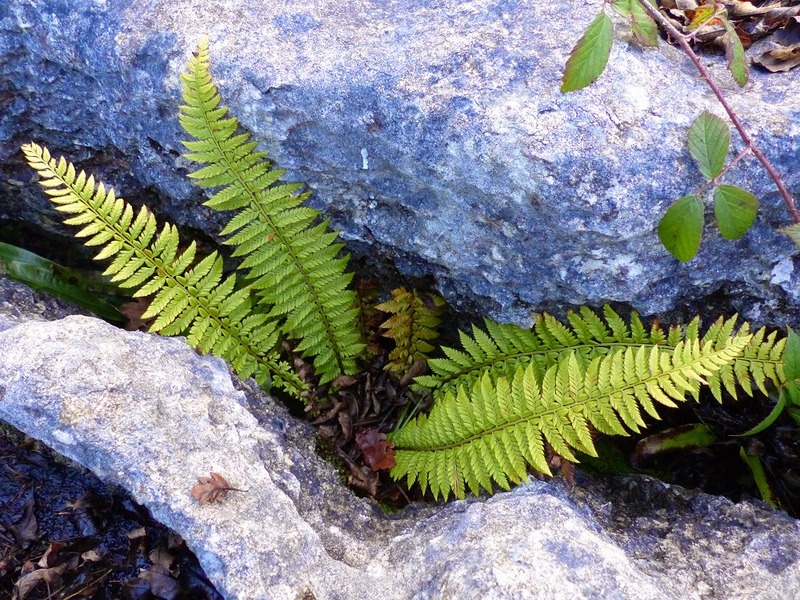 The grikes are an ideal habitat for many species of fern. 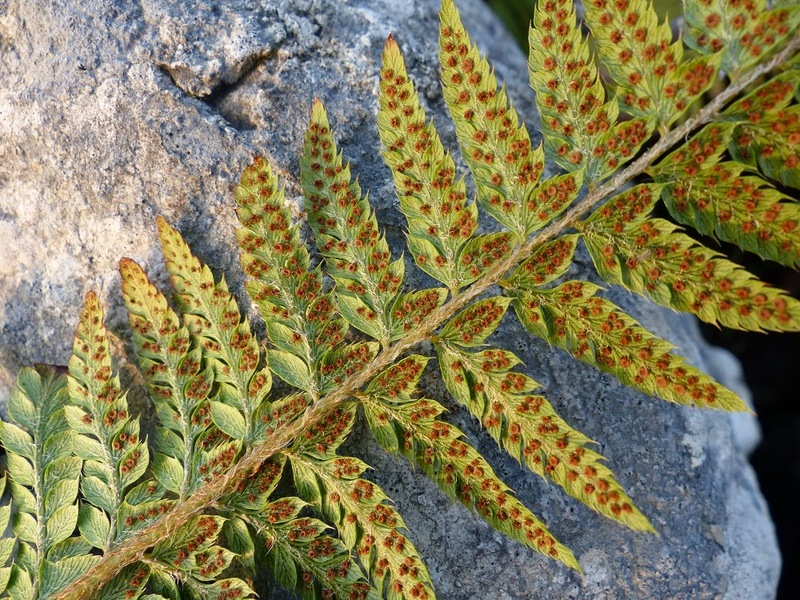 This is soft shield fern. This is the underside of a soft shield fern frond, showing the sori (brown structures for holding spores). The upper side of a soft shield fern frond. Notice that the uppermost "leaf" on each "branch" which is closest to the stem is bigger than all of the rest and in combination with the same leaves on each of the other branches this makes it look like the frond has a parallel line of leaves running either side of the stem. 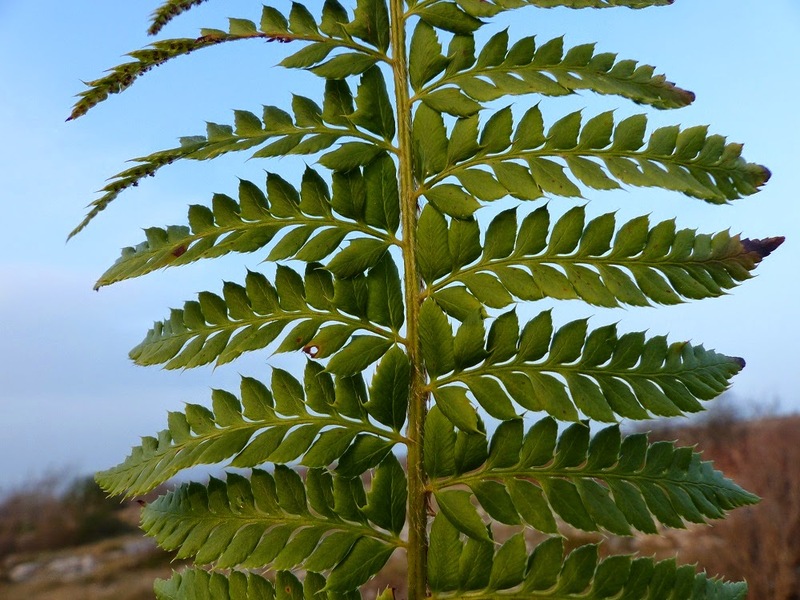 This feature shows up particularly well on the underside photo above, and makes soft shield fern quite easy to identify. 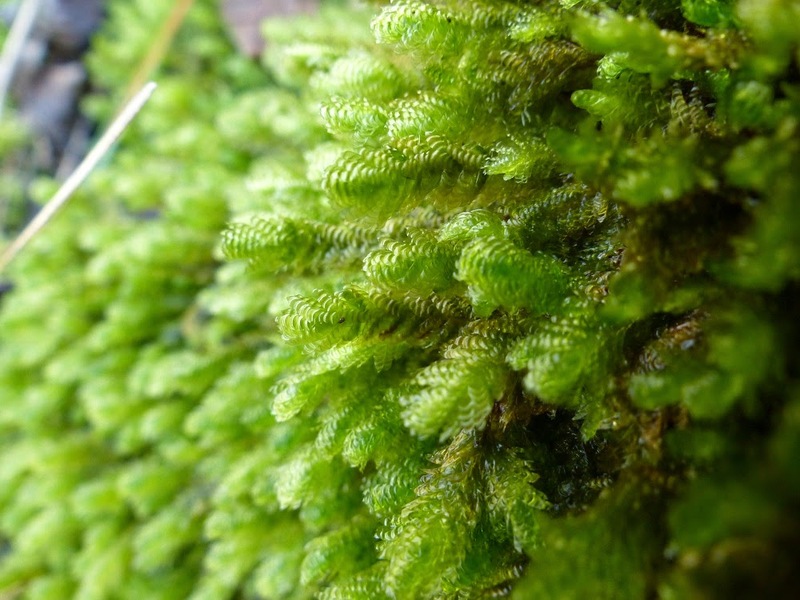 This is the limestone loving moss, Neckera crispa. I love the fan shaped branches. 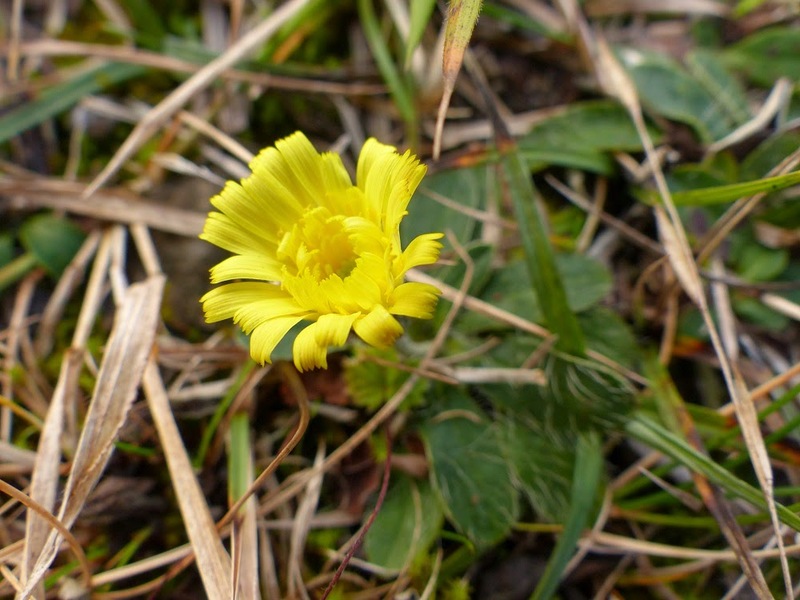 Mouse-ear hawkweed, a relative of the dandelion, but much smaller and slightly paler yellow. Notice the small un-notched leaves with long white hairs.